The UK Government recently announced (21 April) that EU students applying for university places in the 2018-19 academic year will remain eligible for financial support for both undergraduate and postgraduate degree courses. This guarantee will cover the duration of their degree courses, regardless of the conclusion of Brexit in the next two years. Commenting on the Government announcement Dave Phoenix, Vice-Chancellor of London South Bank University, said:“This is very welcome news. It is reassuring to hear the Government’s confirmation that EU students starting courses in the 2018/19 academic year will be eligible for loans for the duration of their course. 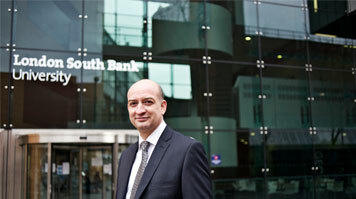 “London South Bank University remains committed to an agenda of internationalisation. Every year we see a diverse intake of students of all nationalities – not only from our local neighbourhood in South-east London but from overseas. This news will help us to fulfil our objective of continuing to recruit more international students while adding to LSBU’s cultural richness and diversity.